According to a recent scientific study, polar bears face chemical poisoning 100 times above levels considered safe for adult bears. The reason is that certain pollutants bioaccumulate in the environment. A research article in the recent edition of Environmental Toxicology and Chemistryshows that the bioaccumulation of persistent organic pollutants (POPs) in the arctic ecosystem are playing havoc on the diet of polar bears. Trace quantities of PCBs are still found in the blood of polar bears. Perfluorooctane sulfonate (PFOS) is also found in surprisingly high concentrations in polar bears. PFOCs are found in fire fighting foams, oil repellent paper, packaging and fabrics. When a bear eats a seal, toxins are amplified 34-fold. POPs accumulate in in muscle rather than fat. The polar bear population in the arctic is estimated to be at 26,000. Scientists estimate that number will fall by a third by the 2050’s due to the impact of climate change. It is uncertain if this new information on toxicity will impact the estimate. New and emerging contaminants being found in polar bears can only reduce the number. The U.S. Environmental Protection Agency (U.S. EPA) has selected 19 communities for approximately $3.8 million in funding to assist with planning for cleanup and reuse of Brownfield sites as part of the Brownfields Area-Wide Planning (AWP) program. Each recipient will receive up to $200,000 to engage their community and conduct planning activities for brownfield site reuse. The grants will help communities plan improvements such as housing, transportation options, recreation and open space, education and health facilities, social services, renewed infrastructure, increased commerce and employment opportunities. Assistant Administrator Stanislaus announced the new AWP recipients for funding at a community event in Norfolk, Va. The U.S. EPA’S AWP program was modeled after New York State’s Brownfields Opportunity Area (BOA) Program, which was developed by communities – particularly lower income communities – to enable them to drive development that meets their needs without displacing them. Studies have shown that residential property values near brownfields sites that are cleaned up increased between 5 and 15 percent. Data also shows that brownfields clean ups can increase overall property values within a one-mile radius. 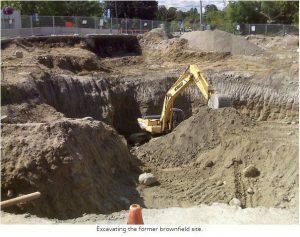 Preliminary analysis involving 48 brownfields sites shows that an estimated $29 million to $97 million in additional tax revenue was generated for local governments in a single year after cleanup. Isles, Inc., East Trenton, N.J.
Redevelopment Authority of the City of Harrisburg, Pa.
Berkeley-Charleston-Dorchester Council of Governments, Charleston and North Charleston, S.C.
Near East Area Renewal, Indianapolis, Ind. Wayne County Brownfield Redevelopment Authority, River Rouge, Mich. Port of New Orleans, New Orleans, La. Trust for Public Land, Los Angeles, Calif.
City of Grants Pass, Ore. The Government of Alberta recently issued an Enforcement Order to Cherokee Canada Inc. which requires the company to clean-up hazardous waste at a former creosote plant in Edmonton. The creosote plant had operated from 1924 until 1987 and was purchased by a numbered company in 2010 from Domtar. At that time, the plan was for residential development of the site. As part of the redevelopment plan, a berm was built using contaminated materials from the site. In 2015, the government requested that the soil from the berm be analyzed. The recent Order requires the company to submit a written sampling and contaminant delineation plan of the berm. A remediation plan must also be submitted. Creosote is a thick, black, oily liquid that is a mixture of hundreds of chemicals. The major chemicals in coal tar creosote are polycyclic aromatic hydrocarbons (PAHs), phenol, and creosols. 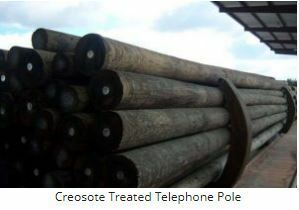 Creosote is the most common product utilized to preserve wood in North America and is also used as a pesticide. Mild exposure to creosote can result in breathing problems and skin irritation. Longer term exposure to creosote has been linked to cancer. “First, we have to determine the nature of the contamination, and that would provide direction for how those sites would need to be remediated. Our concern is that the contamination on those sites be addressed,” Alberta Environment spokesman Jamie Hanlon said with respect to the Enforcement Order. Alberta Environment said the site is proposed for a residential development. The department said the current site approval holders have failed to act upon numerous requests since last year for soil sampling results on the berm. The United States Department of Justice (U.S. DOJ) recently announced that Bechtel National Inc., Bechtel Corp., URS Corp. (predecessor in interest to AECOM Global II LLC) and URS Energy and Construction Inc. (now known as AECOM Energy and Construction Inc.) agree to pay $125 million to resolve allegations under the U.S. False Claims Act. The U.S. DOJ alleged that the companies had made false statements and claims to the U.S. Department of Energy (U.S. DOE) by charging the U.S. DOE for deficient nuclear quality materials, services, and testing that was provided as the Waste Treatment Plant at the US. DOE’s Hanford Site near Richland, Washington. The United States alleged that the defendants violated the False Claims Act by charging the government the cost of complying with these standards when they failed to do so. In particular, the United States alleged that the defendants improperly billed the government for materials and services from vendors that did not meet quality control requirements, for piping and waste vessels that did not meet quality standards and for testing from vendors who did not have compliant quality programs. The United States also alleged that Bechtel National Inc. and Bechtel Corp. improperly claimed and received government funding for lobbying activities in violation of the Byrd Amendment, and applicable contractual and regulatory requirements, all of which prohibit the use of federal funds for lobbying activities. The settlement also resolves allegations that Bechtel National Inc. and Bechtel Corp. improperly used federal contract funds to pay for a comprehensive, multi-year lobbying campaign of Congress and other federal officials for continued funding of the Hanford Waste Treatment Plant. In its press release, the U.S. DOJ stated that the claims asserted against defendants are allegations only, and there has been no determination of liability. Bechtel National Inc. and Bechtel Corp. are Nevada corporations. URS Corp. is headquartered in California and URS Energy and Construction Inc. is headquartered in Colorado. The Hanford facility made more than 20 million pieces of uranium metal fuel for nine nuclear reactors along the Columbia River. 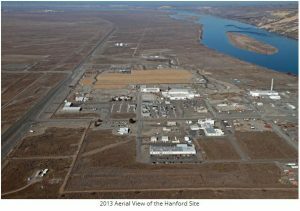 Five huge plants in the center of the Hanford Site processed 110,000 tons of fuel from the reactors, discharging an estimated 450 billion gallons of liquids to soil disposal sites and 53 million gallons of radioactive waste to 177 large underground tanks. Plutonium production ended in the late 1980s. Hanford cleanup began in 1989, when a landmark agreement was reached between U.S. DOE, the U.S. Environmental Protection Agency, and the Government of Washington State. Known as the Tri-Party Agreement, the accord established hundreds of milestones for bringing the Hanford site into compliance with federal and state environmental regulations. The U.S. DOE has paid billions of dollars since 2002 to the defendants to design and build the Waste Treatment Plant (WTP). 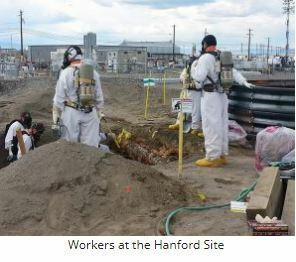 The WTP will be used to treat dangerous radioactive wastes that are currently stored at the Hanford Site. The municipal government of the Cowichan Valley Regional District (CVRD) is appealing a court decision on Shawnigan Lake landfill to the Supreme Court of Canada. The CVRD wants the Supreme Court to order that the landfill be shut down and that deposited contaminated soil be removed. The landfill has a permit to operate that was issued by the British Columbia Ministry of the Environment. A consortium of companies own and manage the landfill. The companies include South Island Aggregates (SIA), Cobble Hill Holding (CBH), and South Island Resource Management (SIRM). The existing permit, issued by the B.C. Environment Ministry permits the disposal of approximately 5 million tonnes of contaminated soil at the landfill. The Shawnigan landfill is the site of a former quarry. The CVRD is of the view that existing zoning bylaws for the municipality does not allow the property to be used as a landfill. In the spring of 2016, the British Columbia Supreme Court ruled in favour of CVRD. However, an appeal by the site owners to the B.C. Court of Appeal resulted in the lower court ruling being overturned. Now CVRD is taking the case to the Supreme Court of Canada. In the view of CVRD, the local municipality should have the ability to control land use through zoning bylaws and without provincial interference. The Site owners are of the opinion that the quarry and landfill activity falls under provincial jurisdiction. The consortium of companies that own and operate the landfill had 30 days to response to CVRD’s application to the Supreme Court to hear the case. A decision by the Supreme Court on whether it will hear the case is expected shortly. CVRD is not only asking the Supreme Court to reverse the decision on use of the property as a landfill but also require the property owners to remove any contaminated soil that has already been deposited. This manual, prepared under the U.S. Environmental Security Technology Certification Program (ESTCP), is a guide to the use of in situ reactive amendment technologies for remediation of contaminated wetland hydric soils. The manual provides a toolbox of methods with which to approach site characterization/monitoring, treatability testing and demonstration, and remedy implementation. (5) An assessment of technology cost. 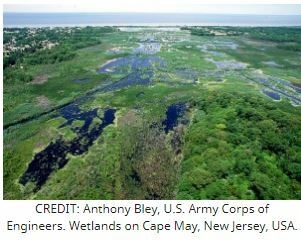 This guide is based upon a field demonstration conducted at Aberdeen Proving Ground, located in Aberdeen, Maryland, to determine the most effective amendment to immobilize PCBs in wetland sediments among the following agents: powdered activated carbon slurry (Slurry Spray), two pelletized AC products (AquaBlok® and SediMite™), and an engineered manufactured soil cover system (sand control). ESTCP is the United States Department of Defense’s environmental technology demonstration and validation program. The Program was established in 1995 to promote the transfer of innovative technologies that have successfully established proof of concept to field or production use. ESTCP demonstrations collect cost and performance data to overcome the barriers to employ an innovative technology because of concerns regarding technical or programmatic risk. Tidan Inc. and seven associated companies (“Tidan Group”) recently plead guilty to 52 charges related to improper management of PCB-containing electrical equipment. Under the Canadian Environmental Protection Act, 1999 (CEPA) and the Canadian federal PCB Regulations, companies are required to make arrangements for the safe destruction of PCBs contained in electrical equipment. Charges were laid against Tidan Group by Environmental Canada and Climate Change (“ECCC”, the Canadian equivalent of the U.S. Environmental Protection Agency) after an investigation officials from ECCC showed that Tiden Group had not followed environmental protection orders that had been issued and did not meets its obligations related to the use, storage, and disposal of electrical equipment containing polychlorinated biphenyls (“PCBs”). The Tidan Group also failed to submit reports on the use and storage of its electrical equipment to the ECCC. 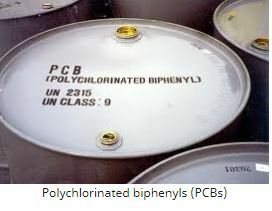 The offences do not relate to any spill of PCBs into the environment. The total fine to Tidan Group was $975,000. The offenders will also have to publish an article on the facts surrounding their violations and develop procedures to manage their contaminated electrical equipment for all their buildings. They will also have to provide training for their managers and staff. Tidan Group is headquartered in Montreal, Canada. The company’s offer a portfolio of commercial office, retail, residential, mixed use and industrial properties, as well as a chain of affiliated hospitality properties located in Canada and the United States. PCBs are synthetic compounds with stable chemical properties that were used mainly in electrical components until the 1970s. 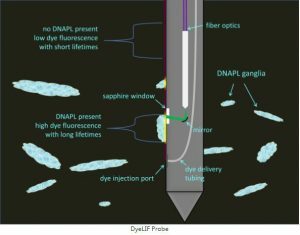 Their stable chemical properties made them ideally suited for applications that required durability and resistance to heat and light. They were never manufactured in Canada, but were widely used in throughout the country. Although some equipment that contains PCBs remains in use, the manufacturing, processing, importing and offering for sale of PCBs have been prohibited in Canada since 1977. The Canadian PCB Regulations, which came into effect in 2008, implement stricter deadlines on equipment containing PCBs in use and in storage in order to reduce releases of PCBs into the environment. The PCB Regulations set specific deadlines for ending the use of PCBs in concentrations at or above 50 mg/kg, eliminating all PCBs and equipment containing PCBs currently in storage and limiting the period of time PCBs can be stored before being destroyed. Labelling and reporting requirements are also required under the PCB Regulations as well as requirements on sound practices for the management of the remaining PCBs in use (i.e. those with content of less than 50 mg/kg), until their eventual elimination. The fine that is collected from the Tidan Group will be paid into the Environmental Damages Fund (EDF) administered by Environment and Climate Change Canada.